The Peanut's Movie on Blu-Ray and DVD 3/8! Enter to win! HomeThe Peanut's Movie on Blu-Ray and DVD 3/8! Enter to win! I am so excited about this movie! I did not go see it, so I can't wait for it to come out on March 8! In THE PEANUTS MOVIE, good ol’ Charlie Brown, Snoopy, Lucy, Linus and the rest of the beloved Peanuts gang appear as you’ve never seen them before in a brand-new feature film from the imagination of Charles M. Schulz and the creators of Ice Age. Join everyone’s favorite eternal optimist, Charlie Brown, as he embarks on a heroic quest, while his beagle pal Snoopy takes to the skies to pursue his arch nemesis, the Red Baron. It’s a hilarious and heart-warming adventure! Check out the trailer to get excited! It looks SO CUTE! It brings back childhood memories too! 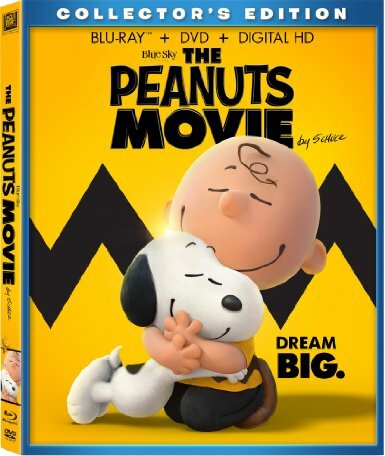 With the Collector’s Edition Blu-ray™, DVD and Digital HD fans can go deeper into the world of THE PEANUTS MOVIE with these fun-filled special features! Watch all-new Snoopy Snippets, check out the delightful documentary about the film’s extraordinary journey from the comics to the big screen, learn to draw Peanuts characters, sing along to music videos, choose your favorite songs from Snoopy’s Playlist and more! Snoopy Snippets – Can’t get enough of your favorite Peanuts characters? These six allnew Snoopy Snippets will brighten your day! You Never Grow Up Charlie Brown – In this fascinating documentary, you’ll learn about Charles Schulz, the history of the Peanuts gang, and their journey to the big screen! Snoopy’s Sibling Salute – It’s a Snoopy family reunion as The Peanuts Movie filmmakers introduce viewers to Snoopy’s siblings: Andy, Olaf, Spike, Belle and Marbles. Learn To Draw Snoopy, Woodstock and Charlie Brown – Director Steve Martino provides fun, step-by-step tutorials on how to draw Snoopy, Woodstock and Charlie Brown. Get Down With Snoopy and Woodstock Music Video – Clap, dance and sing along with Snoopy, Woodstock and Charlie Brown to an all-new version of everyone’s favorite Peanuts song! 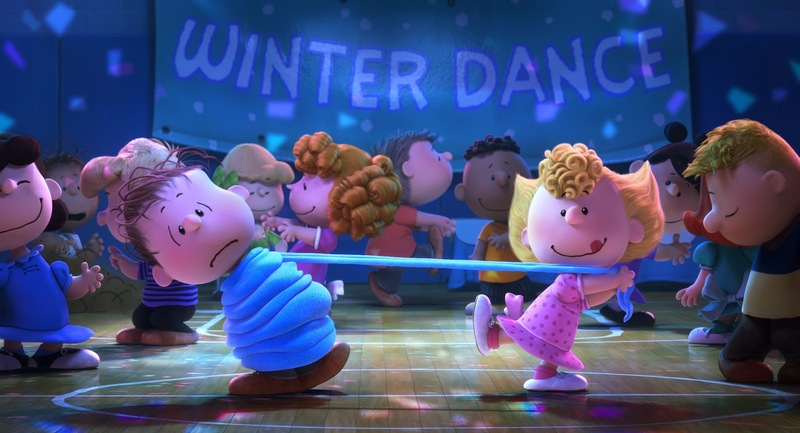 “Better When I’m Dancin’” Meghan Trainor Lyric Video – The Peanuts gang is dancing up a storm with moves like you've never seen before—and on-screen lyrics so you can sing along. Behind The Scenes of “Better When I’m Dancin’” – Meghan Trainor takes you on an exclusive tour behind the scenes and on the set of her “Better When I’m Dancin’” music video! Snoopy’s Playlist – Now the music from the movie is at your fingertips—use Snoopy’s Playlist to jump directly to your favorite songs. Fox Home Entertainment’s THE PEANUTS MOVIE arrives on Digital HD Feb. 12 and Collector’s Edition Blu-ray™ & DVD March 8, 2016. You can pre-order both on Amazon today! 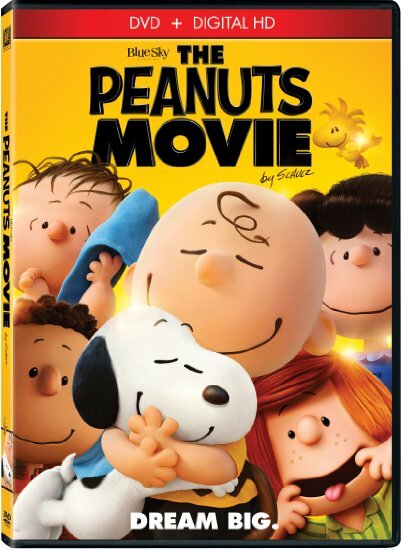 Win it: THREE winners are going to win their own The Peanut's Movie on DVD!! The giveaway ends on March 8th! If you won this on another blog, you are not eligible. Open to the Continental USA. See footer for complete rules. Enter below. Goodluck! My favorite character is the Flying Ace. My grandfather loved him. And I guess I inherited my love of him from my grandfather. My favorite is Schroeder. Such a talented fellow. My favorite character is Charlie Brown. My favorite is snoopy omh love when he laughs it's not often but love it! Woodstock has always been my favorite Peanuts character. My favorite character is Snoopy. Oh I would say our favorite is Snoopy! He always makes us laugh! We love Charlie Brown. He's so good hearted. Favorite character is definitely Linus. I like Woodstock, Pigpen and Peppermint Patty. Lucy Is one of my favorites. Snoopy is my favorite character! My favorite Peanuts character is Woodstock. My favorite Peanuts character is Snoopy. I like Linus the best. Lucy is my favorite Peanuts character. Our favorite Peanuts character is Snoopy! I've always loved Snoopy! My favorite is Linus. Don't mess with the blanket! My favorite Peanuts character is Peppermint Patty. Snoopy and Woodstock are my favorite character. I like Snoopy the most. My favorite character is Snoopy! He is so cute and funny! we love snoopy! hes so cute! My favorite Peanuts character is Snoopy! He's so funny and I love his laugh. Always gotta be Snoopy. Thanks for this giveaway! My favorite is Peppermint Patty. Growing up that was my nickname since I was a tomboy with freckles. snoopy is my favorite. i love snoopy. Lucy was always my fave, love her sassiness! My favorite Peanuts character is Linus. 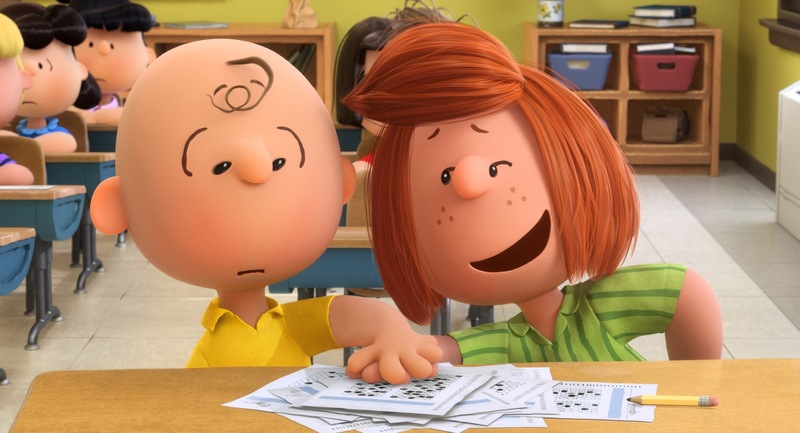 Charlie Brown, no matter how hard he tries, he just can't seem to win....that reminds me just a little bit of me in him. Snoopy is my favorite Peanuts character. I love Linus and his blanket! SNOOPY! my favorite favorite favorite!!!! I like Woodstock - he doesn't say much, but he has so much personality! snoopy is my fave character. our puppy charlie looks just like him! My favorite Peanuts character has got to be Snoopy. He is just so funny! I love Charlie Brown he is my favorite. My favorite has always been Charlie Brown...I always felt so sorry for him! Woodstock is my favorite character!